Most funds don’t show up on investors’ radar until they have at least a three year record, which is also the point at which they receive their inaugural Morningstar rating. That’s a generally sensible, sometimes silly constraint since many funds that have been operating for fewer than three years are actually long-tested strategies managed by highly experienced professionals which are just coming to market in a new form. Relatively recent examples of such funds include Andrew Foster’s Seafarer Overseas Growth & Income (SFGIX), Rajiv Jain’s GQG Partners Emerging Markets Equity (GQGPX), Abhay Deshpande’s Centerstone Investors (CETAX), and Amit Wadhwaney’s Moerus Worldwide (MOWNX). Collectively, those four managers had overseen more than $100 billion using strategies later embodied in their “too new to be on the radar” funds. 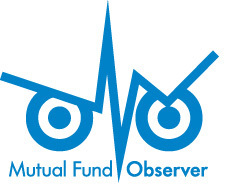 This entry was posted in Mutual Fund Commentary on January 1, 2019 by David Snowball. On that same date, a new manager, Rezo Kanovich, took control of the fund. Mr. Kanovich and his analyst team, all of whom resigned on rather short notice, have guided Oppenheimer International Small-Mid Company (OSMAX) since early 2012. This entry was posted in Launch Alert, Mutual Fund Commentary on January 1, 2019 by David Snowball. On November 1, 2018, the Board of Trustees of the Centaur Total Return Fund announced an epochal change: Zeke Ashton, Centaur Fund’s longest-tenured manager and one of its four founding managers, had notified the Board that he intended to resign after a run of 13.5 years. The Board announced an interim management agreement, effective November 15, 2018, under which DCM Advisors, LLC, would assume responsibility for the fund. Both the stock market’s recent volatility and the financial service industry’s ongoing revolution (there’s blood in the streets!) create and foreclose opportunities. Each month we note, briefly, the recent developments that might change the number and nature of opportunities available to you. This entry was posted in Briefly Noted, Mutual Fund Commentary on January 1, 2019 by David Snowball. On November 12, 2018, RiverPark Funds launches RiverPark Floating Rate CMBS Fund (RCRFX/RCRIX). Like several of RiverPark’s funds, RCRIX began life as a hedge fund (2010-2016). Unlike any of its predecessors, it originally converted into an interval fund, a sort of closed-end fund under which structure it operated for two years (RiverPark Commercial Real Estate Fund, 2016-2018) where investors only had quarterly liquidity. That fund began begin life with $50 million in assets from its private predecessor, of which $10 million is the manager’s own money. The newest package presents the fund as a traditional open-end mutual fund with daily liquidity and both retail (RCRFX) and institutional (RCRIX) share classes.